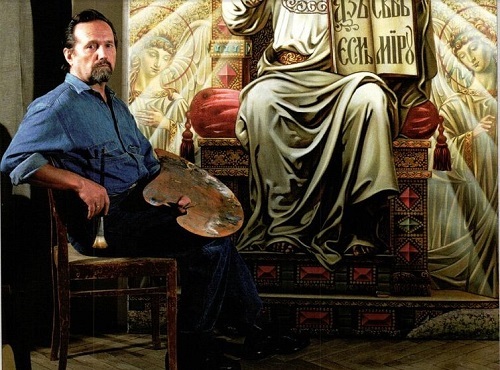 Born April 9, 1939, Valery Balabanov is Russian Orthodox artist, writer and philosopher. Also, he was a medalist, and the main artist of USSR Central Television (1969-1989). Among his awards and titles – People’s Artist of Russia (1995), Academician of the Russian Academy of Natural Sciences and the Academy of Slavic culture. Born and brought up in Moscow, he was a true patriot and lyoal son of his Motherland. Moscow, famed for its Orthodox churches and holies, has always been an inspiration for the artist. Back in the 70-ies, Balabanov created one of the very first paintings-prayers, entitled “The Swimmer”. He dedicated it to the famous Moscow Cathedral of Christ the Savior. This Cathedral was erected in the 19th century to mark the victory of the Russian forces in the war of 1812 against Napoleon. 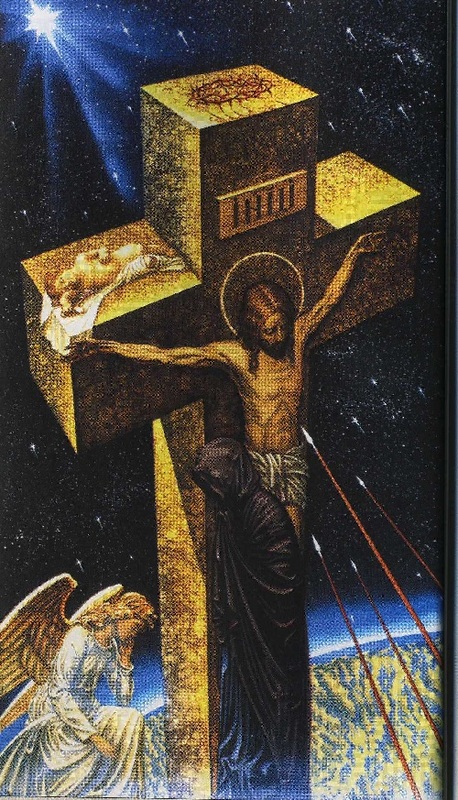 Originally Balabanov painted “The Star of Bethlehem” (“days of repentance”). 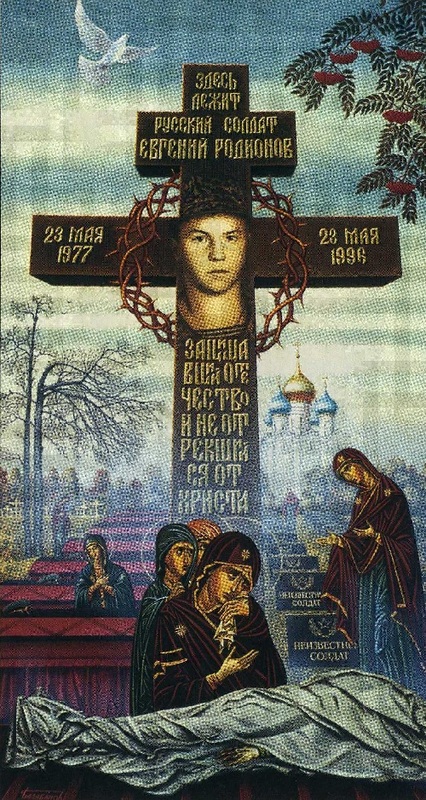 In memory of the heroism of Russian soldier Evgeny Rodionov, who was killed in captivity by Chechen militants May 23, 1996, Balabanov in the early 2000s created the painting “The Prayer for the Russian soldier”. 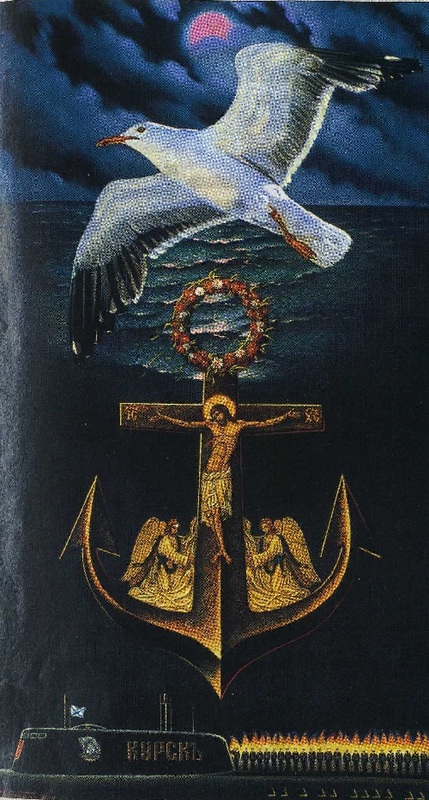 In 2000, after the death of the submarine “Kursk”, he painted a picture “Prayer for Russian sailors”. 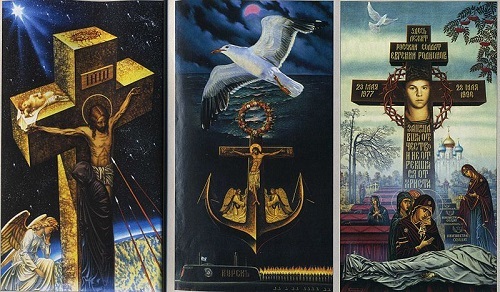 Three of these paintings together formed a triptych “Requiem”, one of the most famous works of artist Balabanov. 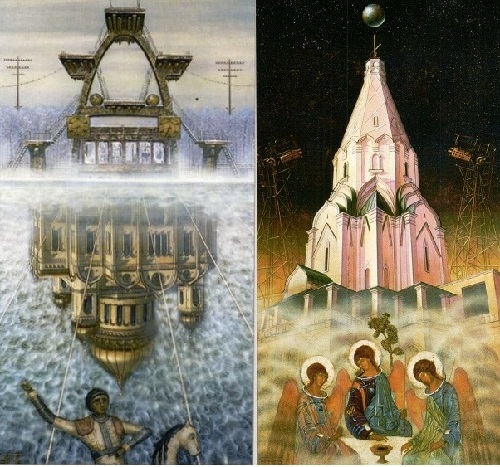 The author himself said of the essence of his triptych: “Triptych “Requiem” – penitential Days of my Fatherland, and the whole sinful humanity, which at the beginning of the XXI century, as if insulated from God’s World, puts on an electronic helmet, plunging into the depths of the demonic, narcotic hallucination, artificial cloned, virtual peace, terrorism and war. And the question arises: to be or not to be – for life, love, goodness, harmony and creativity”. 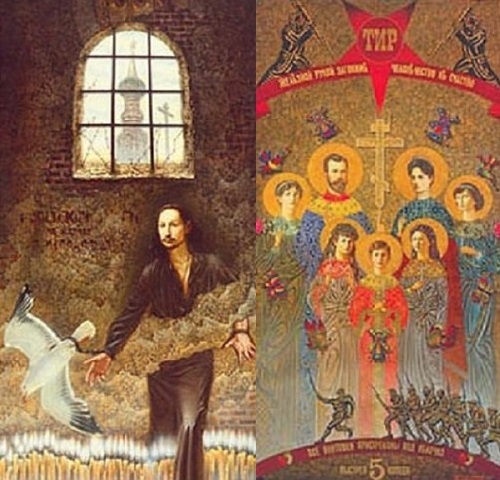 “Heritage” – triptych of national artist of Russia Valery Balabanov, first presented at the exhibition “Millennium of Russian culture”. The central painting of the triptych was the work “Flight of the Trinity”, left side of the triptych – painting “The Swimmer”, right – “Project”. The triptych is one of the first works of the artist, which brought him an international fame. 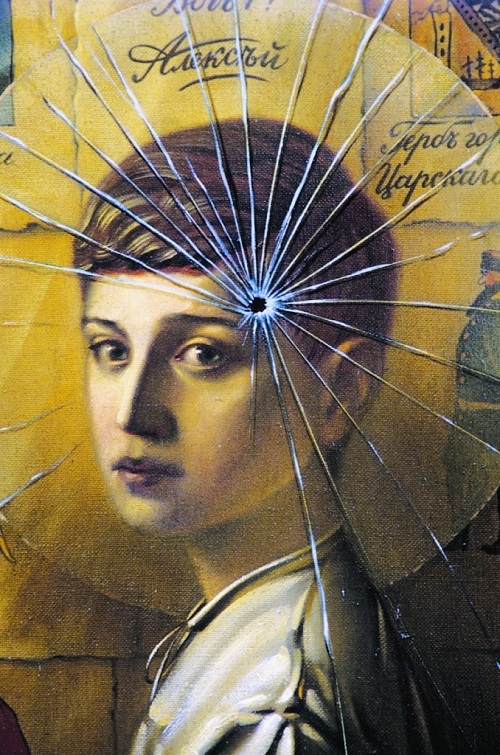 Valery Balabanov created a cycle of artworks united under the title “Prayer for the Romanovs” – about the Czar’s family which was executed in 1918 by the Bolsheviks. One of the paintings of the cycle is “Shooting Range”, which is most symbolic, for at the time the rampant campaign against religion targeted the Czar’s family, and all of Orthodox Russia. 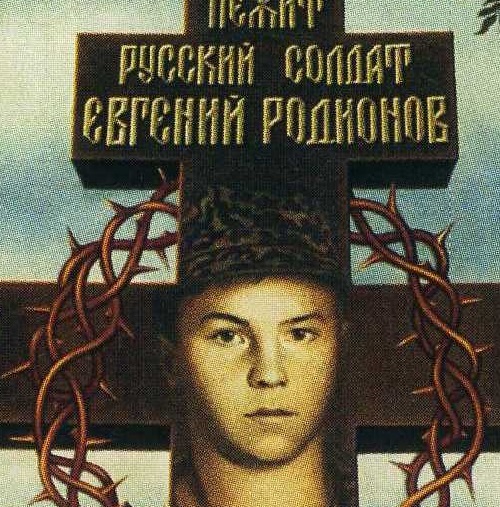 Martyred in captivity of Chechen militants Russian soldier Evgeny Rodionov, who refused to give up Orthodox faith and remove the cross.